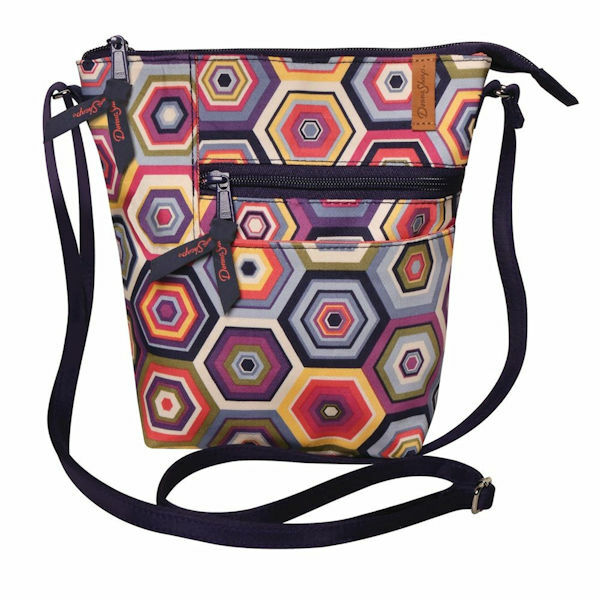 The multi-pocketed, hands-free, light-hearted bag you'll love for everyday use. Interior and exterior pockets for organization, while the adjustable 15"-30" strap lets you wear it as a crossbody or over your shoulder. Zip-close for total security. Printed cotton exterior with lined interior. Imported. 9" x 2" x 8".